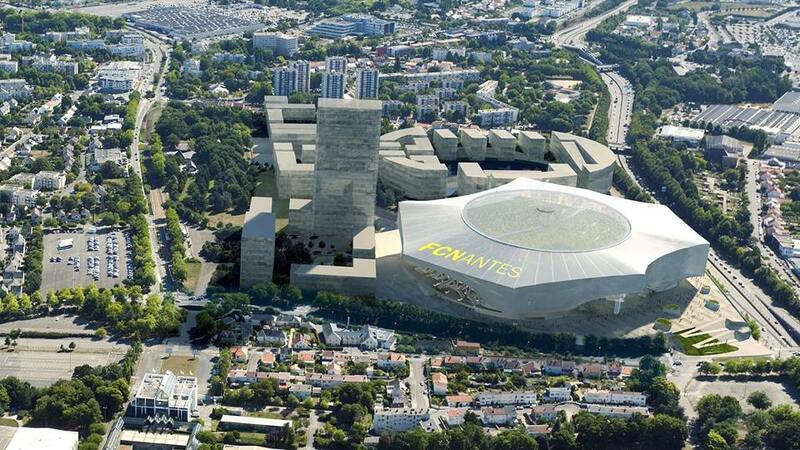 The new stadium in Nantes would be placed just west of the old Stade de la Beaujoire, which would later be demolished to make way for further commercial development. 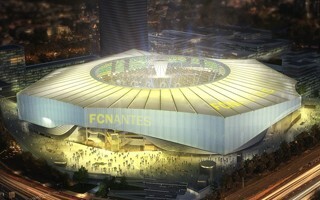 The stadium would become part of a vast scheme covering all of the quarter currently occupied by la Beaujoire and secondary facilities. The new stadium itself was created by world-class joint team of HKS Architects and Atelier Tom Sheehan & Partenaires (ATSP). 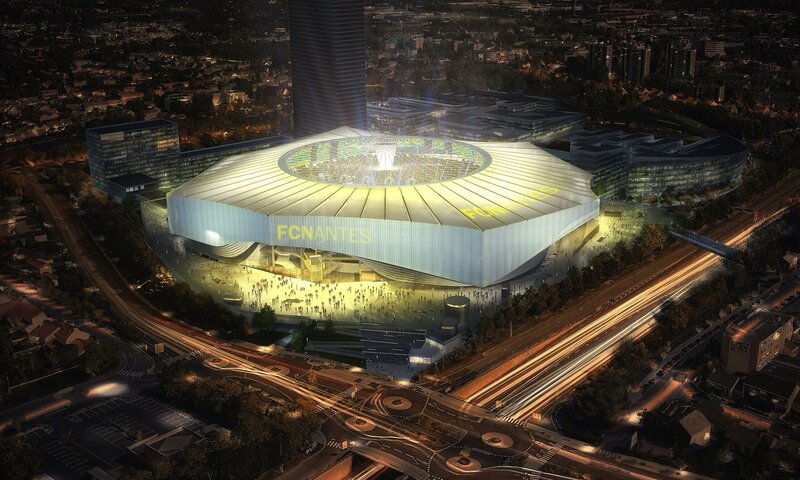 Their vision is unique for a couple of reasons, which together would make the stadium one of the most versatile in the world of football. First, the stadium would have a cable-supported retractable roof, the largest of its kind. With diamater of 125 meters, the opening part would occupy 12,000 m2, almost exactly half of the permanent roof! In practical terms this means both being weatherproof during bad weather and securing ventilation and sunlight access for the football/rugby field. 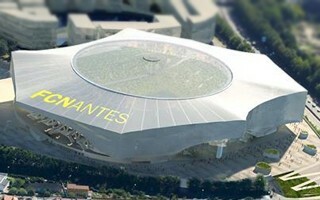 Second, the interior would be designed for a variety of uses, even if FC Nantes would hold priority. The team's fans would receive 7,000 seats across a single tier in the south, creating a cauldron of support. The west stand would also provide 4 separate levels of lounges and boxes for premium customers. Before being topped by the roof at 37 meters, the auditorium would also be surrounded by a 360° screen, one of the largest worldwide. 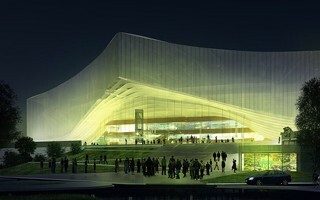 Due to the compact surface envisioned for the stadium, public concourse around its would be pushed under the asymmetric canopy, providing shelter to visitors walking around. No public parking would be available on ground level, rather spread across the whole quarter as underground sites.